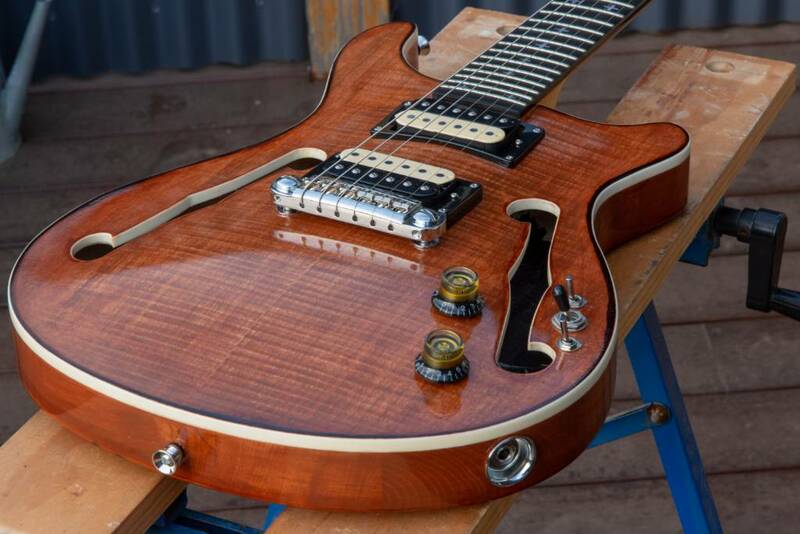 Enter your finished guitar or bass here to be judged for the Pit Bull Guitars February Guitar of the Month. 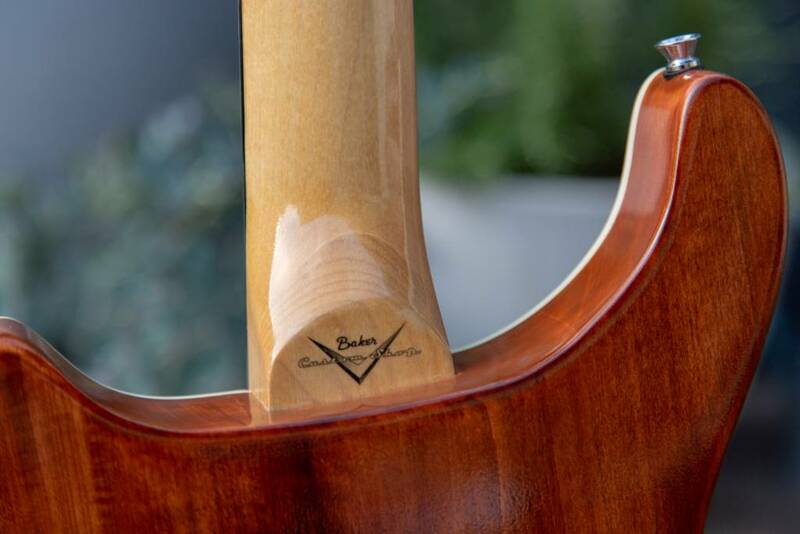 For Guitars or Basses finished on (or before) the end of January. One guitar/bass per member per month. It must be a Pit Bull Guitars kit (mods and upgrades acceptable). 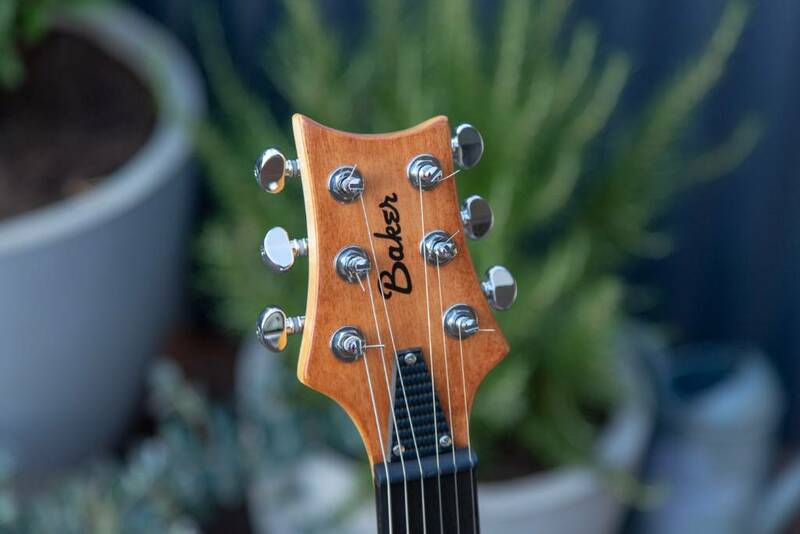 Guitar or Bass must be finished and playable. Competition for closes at the end of January (Perth Western Australian time). 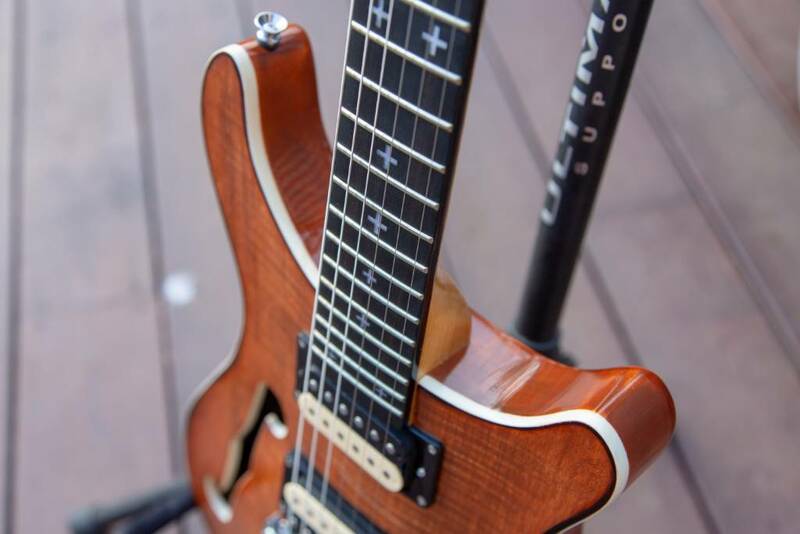 · Does it have the 'Wow Factor'· Which guitar would you make a beeline for in a guitar shop. That is, which one would you most like to take home. BTW - remember that the winner is invited to be a guest judge the following month!" Last edited by Bakersdozen; 09-01-2019 at 07:37 AM. That's going to be tough to beat, Great Job Mark!! Last edited by Bakersdozen; 09-01-2019 at 07:49 AM. Last edited by Bakersdozen; 09-01-2019 at 03:27 PM. Last edited by Bakersdozen; 09-01-2019 at 07:52 AM. 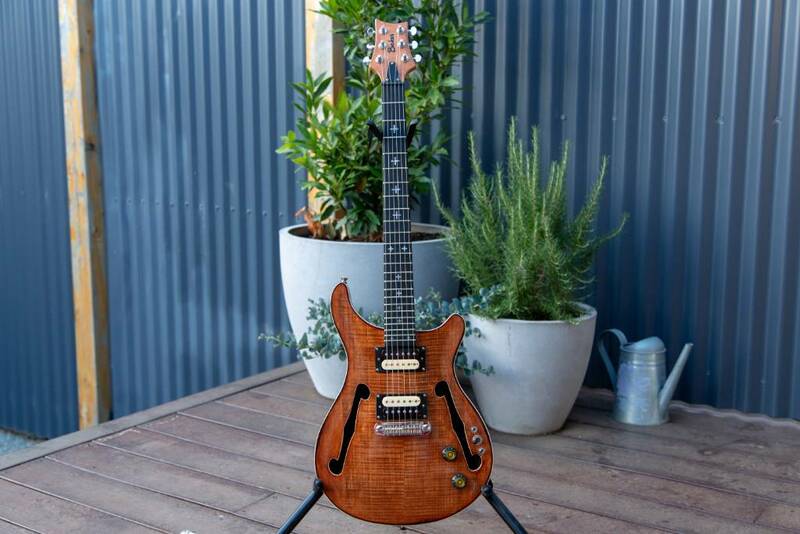 Nice work Mark your PRS-1H looks awesome. Thought I'd submit my first build. Took on the GR-1SFG through December and January. Had some challenges with the finish. Started staining it but then couldn't get a nice smooth finish with the polyurethane so went with paint instead. Not the finish I was going for but happy enough with it. Moved some of the control knobs around so it was more like a Gibson ES-275. That looks sharp Tony! Well done, mate.